Match ends, Rotherham United 1(2), Manchester City U21 1(4). Penalty Shootout ends, Rotherham United 1(2), Manchester City U21 1(4). Goal! Rotherham United 1(2), Manchester City U21 1(4). Charlie Oliver (Manchester City U21) converts the penalty with a right footed shot to the bottom right corner. Penalty missed! 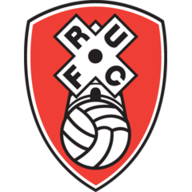 Still Rotherham United 1(2), Manchester City U21 1(3). Jacob Davenport (Manchester City U21) hits the right post with a right footed shot. Goal! Rotherham United 1(2), Manchester City U21 1(3). Jonson Clarke-Harris (Rotherham United) converts the penalty with a left footed shot to the high centre of the goal. Goal! Rotherham United 1(1), Manchester City U21 1(3). Anthony Forde (Rotherham United) converts the penalty with a right footed shot to the top left corner. Goal! Rotherham United 1, Manchester City U21 1(3). Taylor Richards (Manchester City U21) converts the penalty with a left footed shot to the centre of the goal. Goal! Rotherham United 1, Manchester City U21 1(2). Matt Smith (Manchester City U21) converts the penalty with a right footed shot to the bottom right corner. Penalty saved! Jon Taylor (Rotherham United) fails to capitalise on this great opportunity, right footed shot saved in the bottom left corner. Penalty saved! Will Vaulks (Rotherham United) fails to capitalise on this great opportunity, right footed shot saved in the centre of the goal. Goal! Rotherham United 1, Manchester City U21 1(1). Lukas Nmecha (Manchester City U21) converts the penalty with a right footed shot to the top left corner. Penalty Shootout begins Rotherham United 1, Manchester City U21 1. Second Half ends, Rotherham United 1, Manchester City U21 1. Goal! Rotherham United 1, Manchester City U21 1. Benjamin Garre (Manchester City U21) left footed shot from the centre of the box to the bottom right corner. Assisted by Javairo Dilrosun. Attempt saved. Will Vaulks (Rotherham United) right footed shot from outside the box is saved in the centre of the goal. Attempt saved. Rabbi Matondo (Manchester City U21) right footed shot from the centre of the box is saved in the bottom left corner. Joel Latibeaudiere (Manchester City U21) wins a free kick in the defensive half. Charlie Oliver (Manchester City U21) wins a free kick in the defensive half. Substitution, Rotherham United. Joshua Kayode replaces David Ball. Attempt missed. Rabbi Matondo (Manchester City U21) right footed shot from a difficult angle on the right misses to the left. Attempt missed. Lukas Nmecha (Manchester City U21) right footed shot from outside the box misses to the left from a direct free kick. Foul by Dominic Ball (Rotherham United). Javairo Dilrosun (Manchester City U21) wins a free kick in the attacking half. Dominic Ball (Rotherham United) wins a free kick in the defensive half. Foul by Taylor Richards (Manchester City U21). Attempt missed. Javairo Dilrosun (Manchester City U21) right footed shot from outside the box misses to the left. Attempt saved. Jon Taylor (Rotherham United) right footed shot from very close range is saved in the centre of the goal. Attempt missed. Jonson Clarke-Harris (Rotherham United) left footed shot from outside the box is too high. Corner, Rotherham United. Conceded by Matt Smith. Attempt blocked. Alex Bray (Rotherham United) right footed shot from the left side of the six yard box is blocked. Attempt missed. Jon Taylor (Rotherham United) right footed shot from outside the box is close, but misses to the left. Javairo Dilrosun (Manchester City U21) wins a free kick in the defensive half. Substitution, Manchester City U21. Rabbi Matondo replaces Demeaco Duhaney because of an injury. Attempt saved. Jon Taylor (Rotherham United) right footed shot from outside the box is saved in the bottom left corner. Attempt missed. Jonson Clarke-Harris (Rotherham United) left footed shot from the left side of the box is close, but misses to the right. Substitution, Manchester City U21. Taylor Richards replaces Tom Dele-Bashiru. Dominic Ball (Rotherham United) wins a free kick in the attacking half. Foul by Tom Dele-Bashiru (Manchester City U21). Demeaco Duhaney (Manchester City U21) wins a free kick in the attacking half. Attempt missed. Richard Wood (Rotherham United) header from the centre of the box misses to the right. Joel Latibeaudiere (Manchester City U21) is shown the yellow card for a bad foul. David Ball (Rotherham United) wins a free kick on the right wing. Foul by Joel Latibeaudiere (Manchester City U21). Goal! Rotherham United 1, Manchester City U21 0. David Ball (Rotherham United) right footed shot from the centre of the box to the bottom left corner. Assisted by Alex Bray. Attempt saved. David Ball (Rotherham United) right footed shot from the right side of the box is saved in the centre of the goal. Substitution, Manchester City U21. Benjamin Garre replaces Lorenzo Gonzalez. Ed Francis (Manchester City U21) wins a free kick in the attacking half. Ben Purrington (Rotherham United) wins a free kick in the attacking half. Foul by Lorenzo Gonzalez (Manchester City U21). Substitution, Rotherham United. Alex Bray replaces Jerry Yates because of an injury. Attempt missed. Will Vaulks (Rotherham United) right footed shot from outside the box is too high. Charlie Oliver (Manchester City U21) wins a free kick in the attacking half. Attempt saved. Jon Taylor (Rotherham United) left footed shot from outside the box is saved in the bottom right corner. Attempt missed. Demeaco Duhaney (Manchester City U21) right footed shot from outside the box is too high. Tom Dele-Bashiru (Manchester City U21) wins a free kick in the attacking half. Second Half begins Rotherham United 0, Manchester City U21 0. First Half ends, Rotherham United 0, Manchester City U21 0. Foul by Ed Francis (Manchester City U21). Lukas Nmecha (Manchester City U21) wins a free kick in the attacking half. Javairo Dilrosun (Manchester City U21) wins a free kick on the left wing. Corner, Manchester City U21. Conceded by Will Vaulks. Lukas Nmecha (Manchester City U21) wins a free kick on the right wing. Ben Purrington (Rotherham United) wins a free kick on the left wing. Attempt saved. Jon Taylor (Rotherham United) left footed shot from outside the box is saved in the top centre of the goal. Lukas Nmecha (Manchester City U21) wins a free kick in the defensive half. Corner, Rotherham United. Conceded by Charlie Oliver. Attempt missed. Lukas Nmecha (Manchester City U21) left footed shot from the left side of the box is close, but misses to the left. Attempt missed. Anthony Forde (Rotherham United) right footed shot from outside the box is high and wide to the right. Attempt saved. Jonson Clarke-Harris (Rotherham United) header from the centre of the box is saved in the centre of the goal. Lorenzo Gonzalez (Manchester City U21) wins a free kick in the defensive half. Corner, Manchester City U21. Conceded by Ben Purrington. Joel Latibeaudiere (Manchester City U21) wins a free kick on the right wing. Attempt missed. Jon Taylor (Rotherham United) header from the centre of the box misses to the left. Attempt blocked. 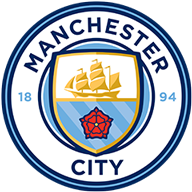 Lukas Nmecha (Manchester City U21) right footed shot from the centre of the box is blocked. Corner, Manchester City U21. Conceded by Richard Wood. Attempt blocked. Dominic Ball (Rotherham United) right footed shot from outside the box is blocked. Attempt saved. Richard Wood (Rotherham United) header from the centre of the box is saved in the top centre of the goal. Foul by Matt Smith (Manchester City U21). Anthony Forde (Rotherham United) wins a free kick in the attacking half. David Ball (Rotherham United) wins a free kick in the attacking half.